When most people think of America’s crude oil production, their first thought often goes to Texas, the top oil-producing state in the country. California, on the other hand, is not a state people associate with oil, despite its huge oil reserves. This lack of association and a decline in production result from poor government policies. Conversely, by adopting smart state policies, the Texan government has been able to produce more energy, create more jobs, and run a more effective state than California does. 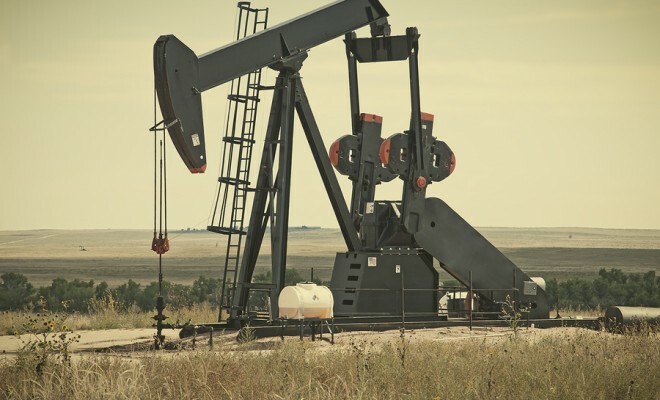 Approximately thirty years ago, California rivaled Texas for crude oil production. But as time went by, the two states adopted vastly different policies. The Texan government wanted to do everything it could to take advantage of the state’s economic resources. The government and private oil producers invested in the latest new extraction methods, including horizontal drilling and fracking. These methods have kept old wells profitable and found new sources of oil. Texas has also kept most of its oil reserves in the hands of private citizens, creating a market incentive for production. As a result, Texas has doubled its oil output since 2005, according to “Wealth of States” (p. 208). California went in the opposite direction. The state government passed expensive cap-and-trade laws, putting a large tax on oil producers and making it much harder for them to make a profit. Because of this, they tend to stay away. In addition, many of California’s oil reserves are owned by the government, and oil companies need to go through all kinds of red tape to get permission to drill. This unfortunate combination has cut California’s oil production nearly in half since 1986. The California government has justified these decisions by claiming the state will make up ground through green technology, such as solar and wind power. What’s ironic is that even with Texas’s pro-oil policies, the state produces more wind energy per year than California. In fact, the Lone Star State produces more energy than any other U.S. state (p. 210). Revenues from crude oil production have been a huge help for Texan and its citizens. In 2012, the state government raised about $12 billion in extra taxes and royalties from oil producers (p. 212). This is one of the key reasons Texas doesn’t have to charge an income tax while offering public services that are arguably better than those in California. By not tapping oil as a major source of revenue, California must charge one of the highest tax burdens in the country. Texas’s oil production has created an economic boon for the entire state. The state’s oil industry is worth more than $80 billion a year and has created numerous jobs (p. 209). This extra economic activity helped maintain the Texan economy during the Great Recession and prevented the high levels of unemployment seen around the rest of the country. This success goes far beyond the oil industry. With so much in-state energy production, energy prices in Texas are highly competitive. In 2012, the state’s industrial energy rate was 5.73 cents per kilowatt-hour; it cost nearly twice as much in California at 10.8 cents (p. 211). Low energy prices and taxes make Texas an ideal spot for manufacturers. Today, manufacturing makes up more of the Texan economy than oil does. Companies are leaving high-cost areas, such as California and the Midwest, to set up shop in Texas. With good government policies and smart investments in crude oil production, Texas has become a model economy for the rest of the country. Other states might want to start paying attention. ← Previous Story How Much Will a New Carbon Emissions Tax Affect Your State Tax Burden?